Beirut (AFP) - Russia bombed the Islamic State group's Syrian stronghold Saturday and vowed to press its aerial campaign despite criticism from Washington and its allies that the military action is strengthening the jihadists. A long-time staunch backer of Syrian President Bashar al-Assad, Russia began sorties over its ally Wednesday in what it said would be a prolonged bombing campaign against IS and other extremist groups. 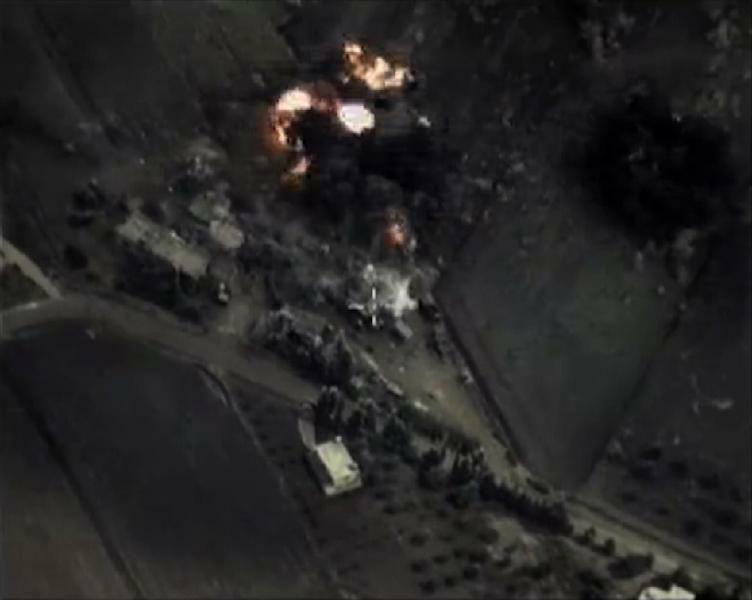 Senior Moscow military officials said warplanes pounded Syria Saturday after a strike that blew up a command post in Raqa, IS's de facto capital in Syria, taking to 60 the number of sorties carried out so far. The United States and its allies have condemned Russia, accusing it of seeking to buttress Assad under cover of a claimed assault on IS. 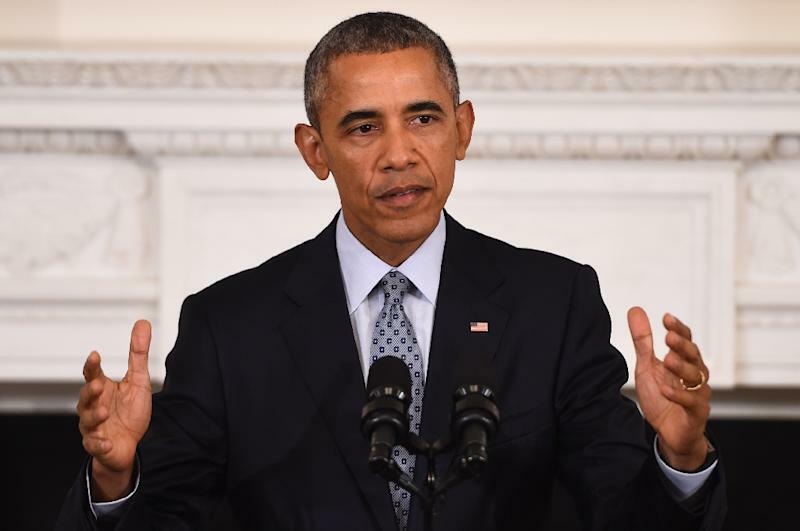 President Barack Obama called Russia's dramatic intervention a "recipe for disaster" but pledged Washington would not be drawn into a proxy war. Putin "doesn't distinguish between ISIL and a moderate Sunni opposition that wants to see Mr Assad go," Obama said Friday, using an alternative name for IS. "From their perspective, they're all terrorists." British Prime Minister David Cameron said Russia was aggravating the situation. "It's absolutely clear that Russia is not discriminating between ISIL and the legitimate Syrian opposition groups and, as a result, they are actually backing the butcher Assad and helping him and really making the situation worse." Turkish President Recep Tayyip Erdogan urged Putin to reconsider his strategy, but Hungary's foreign minister called for cooperation with Russia to end the war. "It is obvious that if we are not successfully making peace in Syria, then the migratory pressure will not decrease in Europe," Peter Szijjarto told the UN General Assembly. Putin has said Moscow's air strikes are pre-emptive, stressing the need to hunt down IS militants before they cross into Russia, which has a large Muslim population. Its entry this week into the Syrian conflict is Moscow's first major military engagement outside the former Soviet Union since the occupation of Afghanistan in 1979. "Panic and desertion have started in their ranks," Colonel General Andrei Kartapolov said. "Some 600 mercenaries have abandoned their positions and are trying to find their way into Europe." Russia's defence ministry said Saturday morning that, over the previous 24 hours, SU-34 fighter jets dropped a concrete busting BETAB-500 bomb on a command post in the area of Raqa. "A powerful explosion in the bunker means that it was also used by terrorists to store a large amount of ammunition," it said, releasing a video of the strike. It said jets had also destroyed an ammunition warehouse near the city of Jisr al-Shughur and targeted an IS training camp near the town of Maaret al-Numan, both in Idlib province. 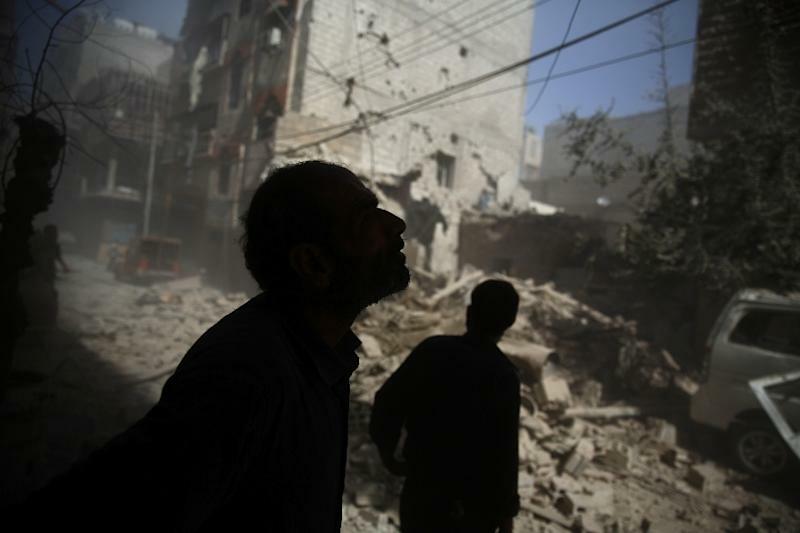 The Syrian Observatory for Human Rights said six civilians, including a woman and her four daughters, were killed in Jabal al-Zawiya, Idlib province, in the latest strikes thought to have been carried out by Russian warplanes. Another four suspected Russian strikes hit the IS-held town of Al-Qaryatain, in central Homs province, said the group, which relies on a network of sources on the ground. But raids ordered by Moscow have also hit areas controlled by moderate groups that are fighting Assad and even prompted a claim by US Senator John McCain that Russian jets had killed rebel soldiers trained and funded by the CIA. Russia said its strikes this week had destroyed IS positions in northern Aleppo province, neighbouring Idlib province and in Hama in central Syria. But several military sources and the Observatory said Russia had hit areas controlled by groups other than IS. The Observatory also says Russian strikes had killed several civilians and wounded doctors in a raid on a hospital in Hama. It said Russian raids on Friday hit a field hospital in the village of Bernas, in the western province of Latakia. Activists said the hospital belonged to Doctors Without Borders (MSF), but the group said it only formerly funded the facility, while confirming it had been damaged and saying there were no casualties. British Defence Secretary Michael Fallon said just five percent of Russian strikes had targeted IS. The conflict began as an uprising against Assad's rule in 2011 but has splintered into a multi-faceted civil war involving government troops, moderate rebels, jihadists and Kurdish forces. More than 240,000 people have been killed, with four million more forced to flee the country. A US-led coalition has been bombing IS positions in Syria since September 2014 but the extremists have still managed to take ground, including the ancient desert city of Palmyra, a UN world heritage site.